Some subscribers are now reporting that the auto pay option is no longer available. It appears that AT&T MVNO EasyGO is now offering auto pay/auto recharge with their monthly unlimited plan according to a recent poster at BestMVNO.com. In order to signup for auto pay customers will either have to call EasyGO's billing department or possibly chat with them online as it cannot be activated yet from the EasyGO account dashboard. Customers who do so will save $2/month off their monthly plan which is normally priced at $20/month with auto pay. At the time of this writing, I'm unable to independently verify this information with EasyGO as EasyGO is currently closed but I'll be looking to do that tomorrow. 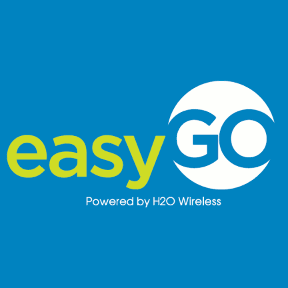 UPDATED: I have now spoken to EasyGO via chat and they were unaware of auto recharge being available claiming it is only available for H20 Wireless. However, after a phone call to the company, I was able to confirm the existence of auto recharge as a new feature. Furthermore, the original BestMVNO.com tipster was kind of enough to send me the screen shot below showing that auto recharge is indeed active on their account. EasyGO's unlimited monthly plan includes unlimited talk and text to 11 countries with 100 MB of data per month. Data add on cards are also offered priced at $10 per GB with infinite rollover as long as your account remains active and you enable auto recharge. EasyGO's unlimited plan provides one of the best valued AT&T based plans for those who need unlimited talk and text without much data. According to my wireless plans comparison database, EasyGO with auto pay enabled is now the cheapest AT&T based provider to offer unlimited talk and text with 100 MB of high speed data. I noticed my discount was gone so I called (611, then 9), on hold for 12 mins and confirmed they removed the 10% or $2 discount for auto recharge 2 months ago. They admitted there was not communication sent. They said there is not any other promos/discounts. Still can’t complain for $20 flat for ATT’s signal. Thanks for the update. That’s pretty unfortunate, but I imagine margins must be pretty low as it is particularly when you look at what others charge, so the autopay discount perhaps was too much for the company to handle. There’s no indication of a 10% ($2) discount when signing up for auto recharge online. (Signed into my account and everything.) Is there a special method you have to use to get it enabled? Seems like it might’ve been a glitch for earlier adopters but it doesn’t show up on the site now. Did you try calling them and asking to speak to the billing department? Today I called the customer service who said Easygo is NOT available for auto-recharge. You need to ask customer service to transfer you to the billing department, and they’ll only do that for you if you have an account with them. You know of any GSM MVNO where I can parky my mumber for a minimal monthly charge? I might be going out of the country but don’t want to pay for service I am not using but I would like to keep my number so to not lose it. I could probably do $5.00 a month if there such a service out there? First company to jump to mind is US Mobile. Looks like it costs $4/month for that . Not sure about taxes. T-Mobile is showing $3/month for pay as you go. Thank you much. Will keep in these in mind. You might want to consider Google Voice, I left the country for about a year and parked my number there. It’s 20 dollars to port in and you can port it out for 3 dollars if you don’t want to use it’s features. Thanks for the info. Google seems to be gouging on the port in charge IMO. I won’t be using my number for calls while overseas so a less monthly charge would suit my needs. Unless Google charges no monthly fee to park my number and keep it active? I have a separate MJ number for calls while overseas conducting business with my bank as an example. I will read up more on Google’s service. Google Voice doesn’t charge a monthly fee, just port in/out fee and international calling is prepaid (usually much cheaper than most other services I’ve seen). I’ve kept my number there and installed an ObiTalk device so I have a free house phone (calls to US and Canada are free) and incoming calls are also forwarded to my cellphone. ObiTalk is identical to MagicJack but there’s no service cost. So no monthly fees to park my number with them? I might have to consider this instead of paying a monthly fee to another company. So I won’t be required to load airtime or pay any monthly maintenance fees to keep my number active with them? No airtime is required and no maintenance fees. There are lots of features too like text to email forwarding and voicemail transcription.